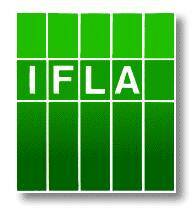 IFLA is the leading international body representing the interests of library and information services and their users. It is the global voice of the library and information profession, the only one recognized by the United Nations and its specialized agencies with over 1500 members (many of them associations and institutions) in 150 countries. The IFLA Law Library Section’s Strategic Plan aligns with AALL strategic directions of education and advocacy, and with AALL’s successful lobbying efforts that have resulted in the Uniform Electronic Legal Materials Act (UELMA), to encourage states to authenticate and preserve their state materials. AALL representatives have been active in the Section. Several have served as elected members of the Standing Committee of the Law Libraries Section, and one has risen to the position of Chair. They have ensured that AALL members learn about IFLA programs and resources by regularly publicizing IFLA activities through the FCIL SIS Newsletter and Listserv. AALL members have made the IFLA Law Libraries section what it is today: thriving and focused on the AALL agenda in terms of information policy and the law librarian profession. For example, every IFLA conference has offered programs on digital authentication of official legal publications from all over the world to increase global access. And the theme of this year’s conference is: Dynamic Libraries: Access, Development, and Transformation. Now is not the time for AALL to quit IFLA. AALL members are currently engaged in a project with the IFLA Standards Committee to discuss a possible authentication standard for official legal publications at the global level. This should be of utmost interest to AALL’s efforts in that direction. In August 2016, IFLA will be held in Columbus, Ohio, attracting some 4,000 librarians, including law librarians. This is an excellent opportunity for AALL to be involved and prepare programs and satellite meetings. We all realize that we live in a time of globalization. AALL cannot deny the role that it is expected to play in a time of international integration and cooperation. AALL risks looking provincial and short-sighted, not only in the eyes of other library organizations, but among its own members who are continually expected to maintain international awareness of legal matters. AALL needs to be represented at this policy-making body. Approximately twenty-five years ago, AALL began supporting the attendance of the President and/or the Executive Director to represent AALL at the IFLA Annual Meeting. 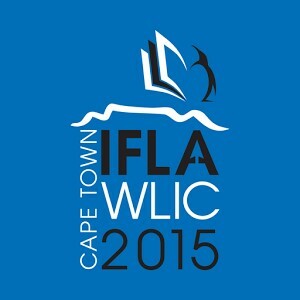 Later the Association became an IFLA member in the National Association category. This involvement led to AALL’s instrumental contribution to the establishment of an IFLA Law Libraries Section, which was first proposed in 2001, received approval in 2005, and included officers, a Standing Committee, and a growing membership by 2007. At that time, AALL made the decision to appoint an AALL member to serve a three-year term as the designated representative to IFLA. Claire Germain served from 2007 until 2011. After 2009, AALL decided (for budgetary reasons) to withdraw its National Association membership in IFLA. Since then AALL has participated by providing its appointed representative with a Personal Affiliate membership. Sally Holterhoff completed her three-year term as AALL Representative to IFLA in July 2014. Anne Burnett was appointed for a three-year term, but the AALL Executive Board decided to stop the personal affiliate membership in March of 2015, without any consultation with the Representative, the FCIL SIS Section, or the membership at large. We believe that the AALL’s decision to withdraw its membership from IFLA was short-sighted and should be revisited. In a time of increased globalization, it is now more important than ever for AALL to have a voice in shaping international policy matters concerning libraries and access to information.